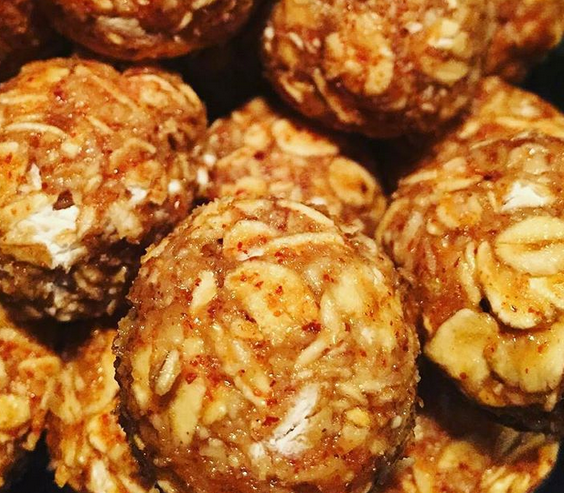 No bake, super simple, healthy little, gluten free cookie balls! 5 ingredients & 5 minute prep! Mix all ingredients with your hands. Roll into 1/2 inch balls. Store in the fridge. Quick and easy, ready to eat on the go and good for you! Kuds will love them too & so much better than those packaged snacks!